Commonly termed large single or super single this size bed is slightly longer and slightly wider than a standard UK single bed. It's a popular adjustable bed size as it allows more room to get comfortable for those who might want to spend a little more time in bed. We make all our bedding in our UK workshop including bedding for the large single size. Our range includes everything you would need including fitted sheets, large single duvets and duvet sets. 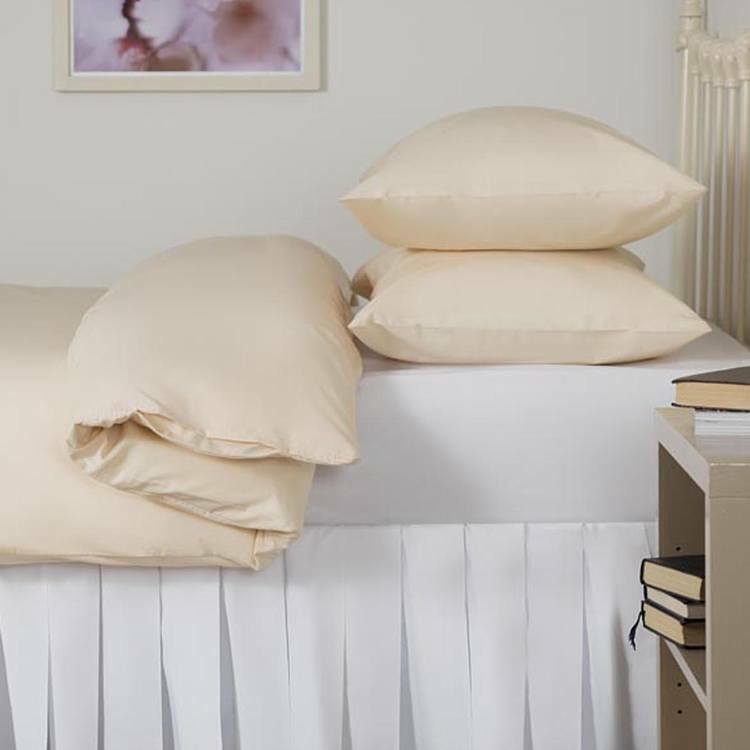 Large Single Fitted Sheet in !00% Brushed Cotton Fitted sheets to fit 107 x 200cm bedsThis..
Large Single Fitted Sheet in 100% Cotton Fitted sheets to fit 107 x 200cm bedsThis size is..
Large Single Fitted Sheet in 1000 Thread Count Cotton Fitted sheets to fit 107 x 200cm bed..
Large Single Fitted Sheet in 400 Thread Count Cotton Fitted sheets to fit 107 x 200cm beds..
Large Single Satin Stripe Fitted Sheet, 100% Cotton200 Thread Count Cotton sheet in stylish satin st..
Starter Pack for 3ft 6" Adjustable Bed in Hotel Quality CottonBeautiful bedding, UK manufactured in ..
Starter Pack for 3ft 6" Adjustable Bed in 100% CottonBedding to get you started in Sateen finished l..
Starter Pack for 3ft 6" Adjustable Bed in 100% CottonBedding to get you started in high 200 Thread C..
Starter Pack for 3ft 6" Adjustable Bed in 100% Cotton Flannelette Bedding to get you started in ultr..
Starter Pack for 3ft 6" Adjustable Bed in Easy CareEverything you need to get comfortable in your Ad..
107 x 200cm Quilted Waterproof Mattress ProtectorQuilted Waterproof protector for Long Single 3ft 6'..
107 x 200cm Waterproof Mattress ProtectorAnti allergy & waterproof protector for Long Single 3ft..
Large Single Duvet SetThis duvet set is great for larger single beds such as 3'3" or 3'6" single siz..
Large Single Duvet SetMade to fit Large Single duvets : 152 x 220cm, 60" x 86". Available in White o..
Large Single Duvet Cover & Pillow Cases in 100% Cotton FlanneletteIdeal for Larger single beds, ..
Large Single Duvet Cover & Pillow Cases in Country JournalIdeal for Larger 3ft 3 and 3ft 6in sin..
Large Single Duvet Cover Set in 100% Cotton Satin Stripe IvoryIdeal for longer single beds, or for t..